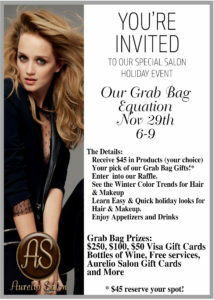 On 11/29 from 6-9 we will be holding our 2nd annual Grab Bag Equation Event at our Howell Location! Reserve your spot now (even if you can’t make it that night You can still buy a bag and win! Check out the new winter trends in hair and makeup, enjoy fiends, appetizers, drinks and get a grab bag prize! You will receive your pick of $45 in products, free product, entrance into our raffle! 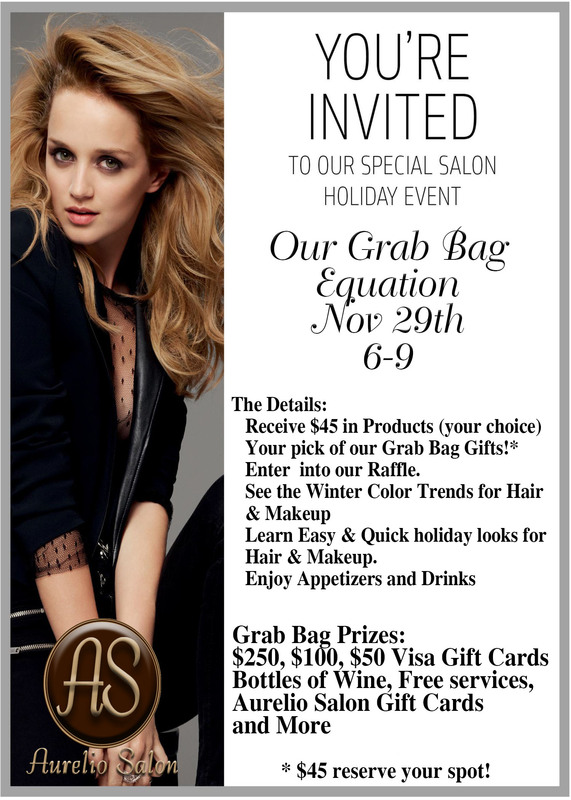 Call the salons now at 732-303-0052 to reserve your bag before they are all gone!